I think The Ancestor Cell must be the most widely reviewed of my fiction. (The original reviews from which I quote here are equivalent in length to about a third of the novel itself. Even the summarised versions on this page come to well over 10,000 words.) The Ancestor Cell also provoked the widest range of opinions; if you read one person’s review comment about any aspect of the novel, you can almost always find someone who thinks the exact opposite. So, are the characters “unrecognisable from their dialogue or actions” or “written perfectly”? Are Faction Paradox “sadly a let down” or “restored to their status”? Will you find “the story starts out slow” or is it “fast-paced and gripping”? Is the book “confusing and juddery” or “intelligent and engrossing”? In short, isThe Ancestor Cell “as low as the mythos can sink” or “disappointingly average” or even “the pinnacle of the BBC range”? Obviously, I’d encourage you to read the book for yourself and decide. That’s what most (but not all) of those quoted below did. If you haven’t read The Ancestor Cell yet, beware: these reviews contain significant “spoilers” for the events in the novel. The reviews are from newsstand publications, online bookstores, and the web — including various online fan sites. 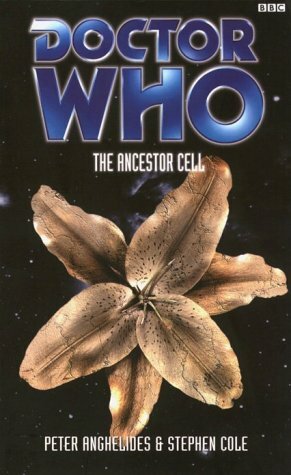 The earliest online bookstore reviews of The Ancestor Cell were on amazon.co.uk, where it was one of their fastest-selling Doctor Who books ever—at one point reaching number 34 out of the tens of thousands of books that they offer online. “Is that it?” asked someone with the user ID “steeled” from Glasgow, recommending: “only read the last thirty pages of this book. The first two hundred odd are very repetitive and dry. Compassion and Fitz are yet again wasted whilst Romana is totally unrecognisable, [she] appears to have turned into Daughter of Goth.” The Grandfather Paradox revelation “has been signposted for ages and comes as no surprise, and has been done before and better.” Three stars out of five. Reviews on amazon.co.uk started a bit later than other sites, because of distribution delays in North America. Some readers had already ordered copies from the UK or from amazon.co.uk, so some reviewers perhaps came with expectations already about the book. Bret Herholz was more phlegmatic: “Not brilliant, but not bad,” he said, scoring it 3/5. He had disliked Interference, and thought that “almost everything is set right in this book. I thought the writers found a great way of tying up all the loose ends rather nicely in this book while causing a few more problems.” He wasn’t concerned by the explosive conclusion to the book. An unnamed scottish_lawyer from Glasgow also thought the book a disappointment, and rated the novel 2/5, and seemed to regret his (or her) purchase: “In some ways it is better left unread. But saying that, this is one of the most important of the new eighth Doctor adventures in the series of Doctor Who novels. It is important for the very reasons that make it inaccessible to the casual reader. He concludes that it may have been “too ambitious”, with “too many subsidiary characters.” The only highlights for him are “some wonderful cameos”, and Greyjan (“a wonderful memorable character). Whereas the principals (“especially the ill-used Compassion” were not. If only, he lamented, the novel had been written by “a thoughtful, and careful writer” like Lawrence Miles. “In a word, wow,” wrote Richard Bressey on the alphabetstreet site (now defunct). “Quite a few momentous events have been seen or hinted at in recent novels, and they all come to a head in this one […] I’m hooked. This novel in particular is essential reading […] this one is a link in the chain that you can’t afford to miss.” He rated it 8/10. GallifreyOne scooped all the other online sites by publishing the first review of The Ancestor Cell before it was officially published. I think they wangled a review copy from BBC Worldwide. I was as surprised as everyone else (not to mention delighted with the review). Ultimately, Edward acknowledged that the book could not reconcile two opposed groups of readers: those who wanted the story arcs resolved, and those who wanted them to develop further. “It is really only Miles who could have given a satisfactory answer.” Thus “the novel carries too much baggage” which left the authors “pulling adventure and humour from hastily tied-up continuity strands”. However, he thought that Faction Paradox were “cartoon bogeymen, disappointingly enough […] light years away from the voodoo cult of Alien Bodies”, though he recognised some of the elements developed in this novel from suggestions in Interference, “which is maybe where the rot set in.” In particular, he disliked Grandfather Paradox, who wasn’t the “psycho-Pertwee” that he had always expected, and the Pertwee appearance he did get instead was “blathering on in the Edifice and being no help at all.” Though at least “Cole and Anghelides are more successful than Miles in capturing the character’s fluent Pertwee-ese”. As with Kursaal and Frontier Worlds, the reviews of The Ancestor Cell on the Online Ratings Guide were much less complimentary than elsewhere. The novel obviously excited a great deal of attention there: at the time of my writing this introduction (February 2001), there were more assessments of The Ancestor Cellon the Ratings Guide than any other single book, and only “the Sixth Doctor” and “The TV Movie” had more reviews. The Guide’s most negative reviews included several that were anonymous, and at least one where the writer hadn’t read the last 50 pages. Elsewhere on the same site, Tammy Potash voted The Ancestor Cell as the eighth-worst Doctor Who book ever, without having actually obtained a copy of the book, let alone read it. Nevertheless, not having seen something has never prevented some Doctor Who fans from having a firm opinion about it; so here are my summaries of the reviews (which, just to be controversial, I have actually read all the way through). “For a show-stopper there’s a remarkable dearth of new ideas,” wrote the pseudonymous “Thomas Jefferson”. He conjured an image of the whole book as a dark revenge plot for some imagined slight on Stephen Cole from three years previously, and “all I could imagine was Lawrence reading it and blowing his top.” He also guesses [wrongly] which bits Steve devised and wrote, and was clearly miffed that Lawrence had neither written the book himself nor defined what was in it—except the bits that “Thomas” alleged we stole from Lawrence. “Never knowingly underhyped,” observed Finn Clark of the novel. “But is it any good? Broadly speaking, yes. It bored me at the beginning, then picked up for an intriguing middle before falling apart at the end.” Which is a pity, because otherwise he thought the book’s “ideas are excellent and its plot twists startling.” Interestingly, he saw the book completing “a Gallifrey trilogy which was begun by [Marc Platt’s] Lungbarrow and [Lance Parkin’s] The Infinity Doctors. All those books had big agendas and reinvented the Doctor’s home planet for their own purposes,” with Lungbarrow as “Past”, The Infinity Doctors as “Sideways”, and The Ancestor Cell as “Future”—just like the original brief for Doctor Who in 1963. The last time I looked at this site, I saw that this review is now credited to Dave Odgers. Mike Morris is another person who was disappointed that the book was by Peter Anghelides and Stephen Cole rather than any of his preferred choices: Paul Cornell, Lawrence Miles, or Lance Parkin. This was not on the basis of reading our previous two books, but on (a) what someone told him about one of those two books and (b) his memory of Kursaal as “The Book Where POV Changed In Mid-Paragraph.” So I suppose I should be relieved that he decided that we “dealt with the million-and-one continuity issues competently. The plot hung together. The storytelling structure was nice. I kept turning the pages.” On the other hand, when he’d finished the book he was “thoroughly exhausted” and “faintly bored”. He particularly wanted more description of the Panopticon, the chambers, the Edifice, the participants. “The regulars, Romana, and a bunch of stock characters [are] just used as vehicles for plot exposition.” In fact, Mike thought the plot was what prevented this: “it’s all plausible and—at times—ingenious. It’s also not too badly written, and there [are] a few nice little jokes”. The authors “flounder” with Lawrence Miles’s “magic-realist concepts”, and “there’s an awful lot of technobabble”. On second thoughts, unbrace yourselves, because I shan’t quote any more. Go to the site and read it for yourself and try, as I did, to imagine a vein in Koschei’s forehead pulsing as though it’s about to burst. Tom Splunge [“not his real name”, we’re told solemnly] wrote a review which was 25% about The Ancestor Cell and 75% about his university degree course. “I don’t mind saying I haven’t actually finished reading this book, but what with spoilers and the [online discussion group] Jade Pagoda I see no reason why this fact should stop me from producing a few hundred words of vitriolic hackwork.” And this he proceeds to do, without reading the final seven chapters. “A couple of friends of mine enjoyed this book,” but for Tom “The Ancestor Cell is fear and loathing.” He thought “there is new Gallifreyan continuity by the bucketload, none of it original,” which is an interesting paradox I suppose. Although he didn’t like “the generification of Faction Paradox […] arguably something Peter and Stephen had no right to do.” And apparently “many of us know people who know who the Enemy were supposed to be,” a statement that would probably be as much a surprise to Lawrence Miles as it was to me. In summary, said Tom: “Best thing to do about this whole fiasco is to forget it ever happened.” Which is what I had done with this review, until a perfectly charming fellow introduced himself to me at GallifreyOne in February 2001 and said he was “Tom Splunge”. We proceeded to have a very cordial conversation, and he seemed quite apologetic. I wish now that I’d asked him whether he’d read the rest of the book (and how his graduation ceremony went). More positively, “Compassion is great in all aspects of this book. Indeed it is here and only here that some depth is given to the character.” Fitz, however, “starts well but goes down hill rapidly. What happens to him at the end is utterly ridiculous.” And although Robert enjoyed her verbal sparring with Fitz, Romana “has officially lost it”, becoming “a tyrant who can’t see the errors of her own ways.” He didn’t like the Gallifrey (“no feel that this is the home of a time travelling species at all”), the Time Lords (except Nivet), and he thought Faction Paradox had been turned into “goons” (except Kristeva). 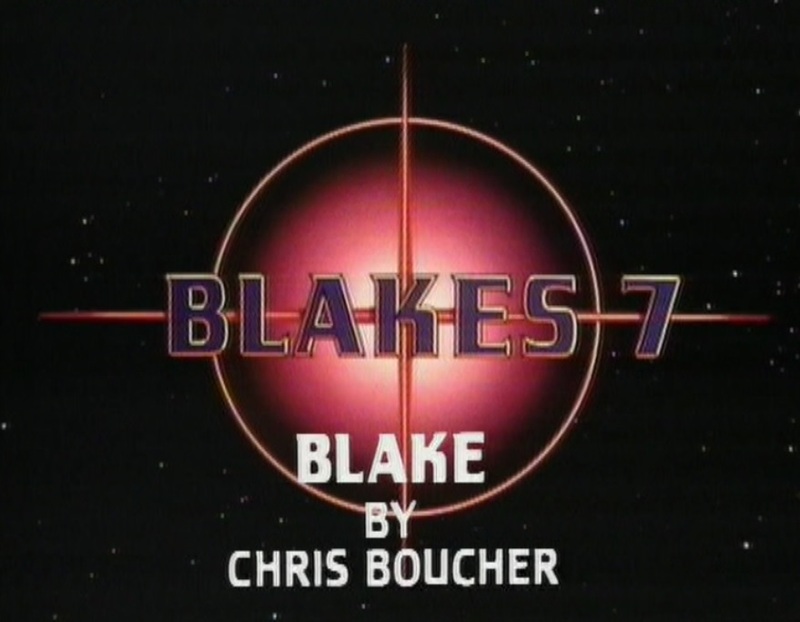 Jamas Enright awarded the novel 2/5, and summed it up as “one of the worst anti-climaxes since ‘Trial of a Time Lord’ episode 14.” [The finale of the epic all-season story that concluded Colin Baker’s era as the Doctor.] 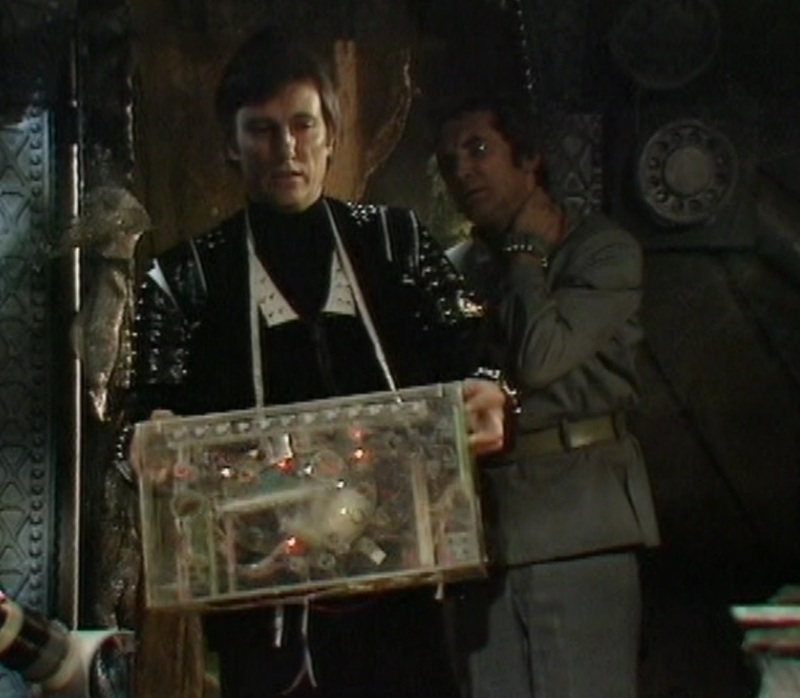 All the loose threads of previous stories were “forced into place” with little regard for what anyone could have expected, and in particular “the true enemy is an amazing let down” and Faction Paradox were the main focus “belying their otherwise background role in all other events (with the exception of the Third Doctor story in Interference)”. In fact, the only things Jamas seemed to find amusing were (a) the way Fitz could see changes happening when everyone else could not and (b) Greyjan. 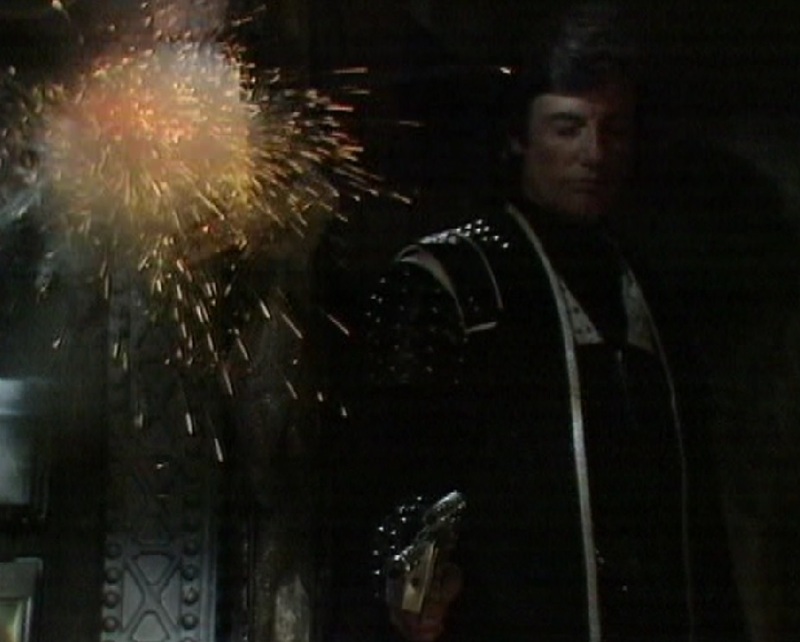 Robert enjoyed the changing number of Gallifreys (though he disliked “Gallifrey in all its petty glory” and thought the Time Lords had “suddenly become capitalists”). He thought “Fitz’s grappling with his identity and the Doctor’s role in it was marvellous… because we’ve seen this sort of thing before, but for once the companion actually decides for himself that the Doctor is still worth his time”. And “the way the novel ties in with The Infinity Doctors is also welcome”. 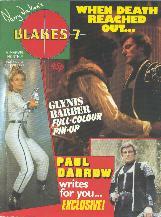 These days, Matt Michael reviews the Eighth Doctor novels for Doctor Who Magazine. But before that, he wrote reviews on the Ratings Guide, including this interesting assessment of both Interference and The Ancestor Cell that saw “the future in the past, and vice versa”. 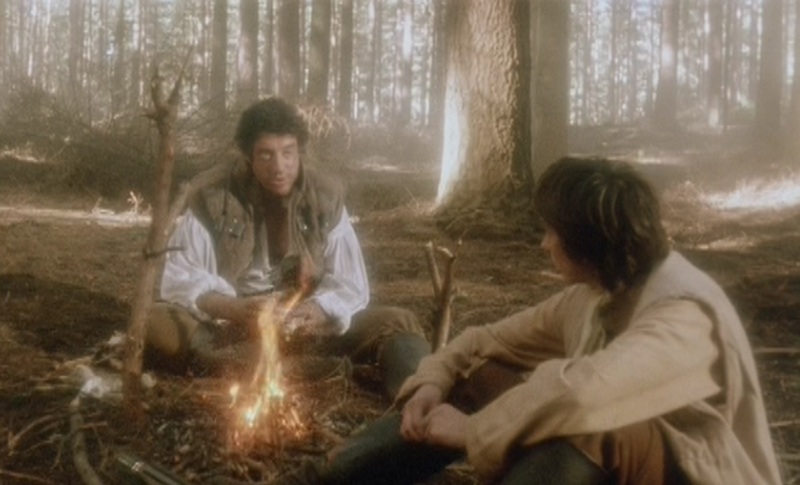 He explained that the problems with The Ancestor Cell arise from the way it has to deal with the complex continuity introduced in Lawrence Miles’s earlier books, “a monster that threatened to overwhelm the [eighth Doctor books] line”. Although we’d done some “interesting” stuff with Romana manipulating the Time Lords, Terrence decided “she’s just another supervillain who gets her comeuppance.” Father Kreiner was a “drooling psycho”, the Faction “one-dimensional villainy”, Grandfather Paradox was “a Valeyard ripoff” that “screams of […] bad fan fiction”, the explanation about the Enemy baffled him, and he didn’t find the conclusion credible. Rob Matthews said he wasn’t put off reading the book by previous negative reviews: “it just seemed too important to just miss”. And besides, the reviews had set him up to believe that the book was “abrupt and synopsis-like” with a badly-portrayed Gallifrey and a Romana unrecognisable from her TV version. “I just finished reading The Ancestor Cell, and I enjoyed it immensely,” explained Eva Palmerton. Unlike other reviewers, Eva hadn’t read anything written by Lawrence Miles: “This may mean that I missed a number of little details (or even big details) in this book that would have otherwise made it less enjoyable […] my brain was able to fill in any gaps that I actually cared about.” So she rated it 8/10. Without identifying which bits were which, Eva said she enjoyed the writing style of “both authors”, though in the first half “it was far too easy to tell the difference between the two styles”, which (because I know which bits I wrote) I found an interesting observation. Eva wished that Mali had survived instead of Nivet (“I’d have thought he should have at least been made even remotely interesting and likeable”). Other characters she disliked included Ressadriand and Eton (“throwaway characters”). Matt was also very unimpressed with the Doctor’s breathless exposition, identifying a moment on page 14 where he “spews off the most obvious info-dump I have ever seen […] no amount of post-modern statement can disguise the fact that this is a desperate ploy by the authors.” The only praise he had for the book was “the ingenious resolution” to the Dust paradox and “the ending […] but only just.” So he awarded it 3/5. BBC Books author Lawrence Miles had announced after Interference that he was definitely not going to write any more Doctor Who novels. So Steve Cole and I were naturally interested to see what his thoughts were about our conclusion to a story arc that he had initiated—so I sent Lawrence a complimentary copy of the published book.Lawrence wrote a review, which he asked Simon Bucher-Jones (one of the authors of The Taking of Planet 5) to post to the Jade Pagoda online discussion group. The review was full of the usual amusing Lawrence Miles hyperbole, but it did make me wonder whether Lawrence could remember anything about the final chapters of his own opus Interference. In an interview ahead of the book’s publication, Lawrence had already explained (based on a close reading of the back cover blurb) that he thought some of his own ideas had been adopted without his permission, and that he didn’t think he’d enjoy reading The Ancestor Cell. The good news was that, once he’d read the copy I sent to him, at least he was now complaining that the book contradicted his own, unstated plans for the arc’s conclusion. The bad news was (shock) he still didn’t like the novel. It’s worth reading the full review on Jade Pagoda, where Simon posted it. (Simon was 65% in agreement with the review.) But this Reviews page wouldn’t be complete without my summary. As part of the BBC’s Monthly Telepress (Issue 4, June 2000, which appeared in the month before the book was first published in the UK), I wrote an article called Selling the Ancestor. It was accompanied by Chapter 1 (“Travelling companions”, below) and Chapter 2 of The Ancestor Cell as “taster” for the book ahead of publication.The style of Chapter 1 is different from the rest of the novel, for reasons that become apparent as you read the rest of it. Lady Withycombe had remained for some twenty minutes on the carriage seat, lounging in that warm and comfortable state in which, half asleep, half awake, consciousness begins to return after a sound slumber. In her reverie, she had recalled with pleasure her latest visit to Lord Ostler’s charming town house; the satisfaction that had blossomed in her breast as she cast a shiny new threepenny bit with ostentatious abandon to her porter at St Pancras; and the ragged urchin who had waved so impudently at her from atop the station wall. Thus she sat, unsure for a moment of exactly where in the universe she found herself, gradually growing aware of a crumpled figure’s presence on the opposite seat – a seat that, prior to her recent nap, had been unoccupied. But the other remained silent in his place, so that Lady Withycombe would have thought herself still dreaming and her unexpected companion a carved wooden statue, were it not for the cooling breeze from the half-opened window beside her. The dishevelled figure stared, and his eyes blinked occasionally, and his lips moved in a constant quiver of mumbling. He wore the collar raised on a light-brown coat, which was in urgent need of brushing, and his tumbling brown locks seemed more suited to a young woman. A soiled hat perched indecorously on the back of his lank head of hair. Under any other circumstances, Lady Withycombe would have called for the guard and made an immediate request for the unkempt stranger to be removed forthwith to third class. Yet there was an ineluctable suspicion in her own mind that it was she who was in some way transgressing, and not this unexpected and odd new arrival. As part of the BBC’s Monthly Telepress (Issue 4, June 2000, which appeared in the month before the book was first published in the UK), I wrote an article called Selling the Ancestor. It was accompanied by Chapter 1 and Chapter 2 (“Ultimatum”, below) of The Ancestor Cell as “taster” for the book ahead of publication. Odd that he hadn’t noticed that before, thought Fitz. The cloth ribbon that edged the console was frayed, and several studs were missing. He reached up from where he lay and ran his middle finger tentatively over the ribbon, and the thin material parted under the slight pressure. A new ship, he thought, and already it was wearing out. Not like the Doctor’s previous TARDIS, he thought. There, everything had seemed old because everything seemed to be covered with a precisely measured layer of dust, designed with a meticulous eye for intricate detail to look ancient, as though someone had disguised it as a slightly seedy old college library so that you wouldn’t see it for what it was – a fantastically complex space vessel that knocked Emperor Ming’s sparking rocket ships into a cocked hat. Who am I kidding? thought Fitz. The Doctor’s previous TARDIS wasn’t more secure: it was just more familiar than this one. Compassion had never liked mixing with others, even before she’d been magically transmogrified from a stuffy bint into their present time ship. As if to prove her lack of regard, she gave yet another wild lurch and rolled him violently away from the console. His shoulder smacked against a stout oak chair. He opened his eyes, which he had screwed up as he’d pitched headlong across the floor. Below him Fitz could see blackness – no, he could make out pinprick stars, real images and not just specks dancing in his terrified eyes. Frozen shards of ice scattered in a cold explosion all around him until they melted into the distance. Behind him, he could feel the reassuring bulk of the oak chair, but when he swivelled round he discovered that it was no longer visible. Instead, far in the distance behind him, he could make out the orange-brown disc of a planet. Three points of yellow light speared through space towards him. It took him a moment to work out that the TARDIS scanner had extended to fill the entire room, enveloping them in a 360-degree view of their immediate surroundings in space. In space? Hadn’t they just been hiding deep in the labyrinthine depths and convolutions of the time vortex? Yet now they were in plain view in normal space-time. A dozen yards from him now, Fitz saw that the tiny six-sided TARDIS console was drifting in the middle of nowhere, like a tired grey mushroom floating in soup. Unfazed by the fact that he was walking in midair, or maybe just unaware of it, the Doctor scampered and danced in space around the console. ‘Yes yes yes,’ snapped the Doctor testily, his mood swinging suddenly in the opposite direction. He lunged at the next panel along, but he snatched his hand away almost immediately as though the controls might be hot. Fitz saw his expression pucker into doubt as his elegant fingers waggled over a different control. Maybe he was trying to cast a spell over it – things seemed to have reached that level of desperation. Compassion’s voice sounded out all around them. ‘A right mess you’re making of it.’ Fitz noted that she sounded as infuriatingly calm as ever, despite the howl of noise that was building in the background, and despite the Doctor’s evident fury. Or possibly because of that. ‘Hold on tight,’ Compassion added. Fitz felt the movement in his stomach first, and then he felt like retching. Their surroundings swirled savagely about them, distant stars smearing in stretched arcs as the perspective shifted. It was as though they were in a glass cage that was twisting on two axes, yet the unseen floor remained solid beneath Fitz’s body. He considered standing up, sensed his stomach lurch again, and decided to stay where he was. The wailing sound of Compassion’s TARDIS engines started to reach a crescendo. The Doctor clutched at the two nearest console panels as the universe spun around them. The incongruous landmark of the console was the centre point of the giddying movement. A racing movement from above made Fitz stare upwards. As the TARDIS started to move, the flat line of frozen ice rings slowly stretched until they were concentric circles. Fitz could see where the TARDIS had broken through the nearest ring. There was a vertiginous movement in the perspective, and suddenly it was as though he were staring at the same view the wrong way down a telescope. Then the view rotated swiftly around one axis and, in an unnerving change, became completely steady, so that the circles looked like a distant target in space. At the same moment, the shriek of the engines dissipated into the usual calm hum of the console room. Fitz took this chance to scramble unsteadily to his feet. He staggered over to join the Doctor at the console, hardly believing he could traverse the invisible floor, half fearing, half hoping he might tumble away into the inky depths of space and away from this nightmare. In answer, a flaring blue fireball barrelled towards them at a colossal, impossible speed. At the last moment it veered away, scorching off into the vacuum. Fitz ducked. He peered out from the unlikely shelter of the console. In the distance a tiny point of light suddenly smeared wide across the darkness, growing with incredible speed until it loomed like a huge, planet-sized red shape blocking their escape route. Fitz re-emerged from his hiding place, ashamed at his instinctive reaction to duck and run. This article was first published as part of the BBC’s Monthly Telepress online newsletter (Issue 4, June 2000, which appeared in the month before The Ancestor Cell was first published in the UK). The article accompanied Chapter 1 and Chapter 2 of the book. Peter Anghelides talks about writing this eagerly-awaited novel. Steve was previously the range consultant for the Doctor Who books. Before The Ancestor Cell was commissioned, Steve had already left the BBC and published another co-authored Who novel, Parallel 59. I had provided comments on Parallel 59 at outline stage, and also done the structural edit for the BBC. I therefore knew Steve was someone I enjoyed working with. And Steve chose me because I was alphabetically first in his contacts book, David Agnew being suddenly unavailable. The “Eighth Doctor Authors” internet mailing list had avidly discussed where the stories and characters should go. And being the range consultant, Steve had been thinking for some time about the future of the books, of course. Meanwhile, new Who consultant Justin Richards had his own clear ideas about how he saw the Eighth Doctor and the Past Doctor books developing. He wrote a discussion document, establishing what could be central the series. From that, he identified what he actually wanted to concentrate on, what was in and what was out. And, unlike some BBC producers when they came in to the TV series, he didn’t want to simply move on immediately and ignore the past, so he had a number of things he thought should be resolved. As to the way the books would develop after The Ancestor Cell… Well, the risk of doing just the “BBC producer” thing is that you end up sinking Atlantis on a regular basis. The risk of doing just the “fan continuity” thing is that you can’t pick up your pen and write because your arms are weighed down by heavy bags filled with decades of continuity. The new direction of the books avoids the pitfalls of either approach, and Justin’s discussed it with lots of the writers–and posted some of it here in Telepress, of course. So Steve and I brainstormed the contents of a novel via e-mail, then pitched it to Justin and BBC Worldwide’s Ben Dunn. They had some further suggestions, which we haggled over, and we were then commissioned to write the book. It started off life, unimaginatively, as “July 2000 Novel”, became “Enemy Mine!” in mock tribute to the TV movie, and was briefly lumbered with “The Horrid Obsession of Greyjan the Sane” until Steve came to the rescue with “The Ancestor Cell”. The novel has not end up as a collection of in-references and dense continuity, because Steve and I agreed right at the beginning to write a compelling story which would grip even the most casual readers, and not to pedantically tie every supposed loose end. We both feel that distracting and irrelevant continuity cross-references are just “fanky-panky” . Some people have speculated that the book will “reset” the DW universe, stepping back to the past; others than it will “resolve” all the open questions, stepping forward into the future. Sometimes it does one or other of these. Occasionally, though, we decided it should step sideways–lateral thinking, if you like, a classic Doctor routine. Loyal readers who have read all the books will get the bonus of recognising more than the casual reader, of course. You don’t need to know everything about Compassion and Fitz’s background, about Faction Paradox’s tangling with the Doctor’s timeline, about Gallifrey’s impending and terrible war with an unknown Enemy. We want all readers to appreciate the characters, events, and motivations beyond the continuity references–to see the wood for the trees (though continuity buffs should recognise the forest). When Lawrence Miles introduced Compassion to the series, with the idea that she develop into a TARDIS, the “Eighth Doctor Authors” mailing list discussed a proposed series of books which eventually ran from Interference to Shadows of Avalon. My novel, Frontier Worlds, eventually sat somewhere in the middle. At the time, I didn’t think I would be able to write one of the books, because (before reading Interference) I thought that the character outline revealed Compassion to be an emotionless, amoral robot whose selfish pursuit of continued existence along the path of least resistance suggested a total abnegation of herself – in short, not very dramatic. Obviously. Then I “got” her, thanks in no small part to the discussion on the mailing list, and Steve’s polite (if slightly pained) defence of Lawrence’s creation. Compassion seemed rude because she just didn’t care enough about other people to be polite. She was self-interested out of a sense of practicality that verged on the amoral. She was superior, because… well… most of the time, she was superior to most of the people around her. I recognised some character traits that sparked conflict and drama, putting her both alongside and at odds with Fitz and the Doctor. So I enjoyed making her a central part of Frontier Worlds, and it’s been a delight to work with Steve on The Ancestor Cell where Compassion faces the most difficult challenge of her surprisingly long life. More important for me and Steve, The Ancestor Cell is a turning point in the BBC Books. As such, it’s rooted in the book series, more than the TV series. My Dark Secret, by the way, is that haven’t read all the published DW books, and so I used I, Who, Lars Pearson’s excellent unauthorized guide, to get up to speed on bits I thought should be useful. Like any background research for writing, it’s more important to understand what’s happened than to explain everything in detailed references in the finished book. I’m sure readers looking hard enough will find allusions to Alien Bodies, Unnatural History, Frontier Worlds, The Taking of Planet 5, Parallel 59… and, of course, Interference. But the book doesn’t exclude The Infinity Doctors or some of the Virgin New Adventures like Damaged Goods and The Pit from its thinking. Before you keel over in horror at this apparent excess of “fanky-panky”, be reassured that the story always comes first. Besides which, we wanted to add our own original spin to the book series, and to Gallifrey. Early on in our brainstorming, Steve memorably described the way the TV Gallifrey had descended into “two corridors of corrugated cardboard meeting at a one-tap fountain”. So we got the builders in, obviously. Did a bit of redevelopment, architecturally and conceptually. Doubtless some readers will feel we brought in the bulldozers, but that’s too bad–one guy’s art deco is another guy’s flock wallpaper. What’s more, we know from The Taking of Planet 5 and Shadows of Avalon that Gallifrey is girding itself for the coming War (capital W), and have some dreadful plans for Compassion. So when an ominous death-white monstrosity manifests itself over Gallifrey, things are looking grim. Since we know from Interference that Faction Paradox fashion huge ships from bone, I imagined this edifice to be a skeletal combination of the Needle from “The Infinity Doctors” and the huge alien ships from Close Encounters of the Third Kind or Independence Day. Is it there for good or evil? Steve mentioned the giant-shape-in-the-sky story that Philip Hinchcliffe mooted in the Graham Williams fourth Doctor era. And there’s that huge Faction artefact that houses Anathema on its three billion year stealth mission in Interference, of course. In the end, I think we came up with another spin on these familiar concepts–introducing completely new elements, as well as looking askance at some of the received images of the series. It’s like when you spot new things in a familiar old photo because you’re holding it up to a mirror and seeing it from a different perspective. For fresh insights on the finished book, we deliberately confined our read-through team to people who were not on the “Eighth Doctor Authors” list. The one exception was Lance Parkin, who perused the submission draft. Lance has the ability to offer constructive insights on plot and continuity, because he long ago sated his strange passion for pedantic DW continuity with his exhaustive (and exhausting) History of the Universe book. He provided us with a rounded view of the final draft’s strengths and weaknesses. And the “grandfather paradox” is a classic time travel concept going back to C. South’s “The Time Mirror” in 1942. As to knotting all those loose ends…? Well, I would prefer people to see each book as a “stepping on” rather than a “getting off” point. Doctor Who is constantly developing, so I’m not sure I’d want to tidy everything up. Even shows like “Genesis of the Daleks”, which purport to provide answers and closure, actually open things up more because fans love to speculate. No doubt people will spot more frayed bits hanging out of The Ancestor Cell. At least we haven’t sunk Atlantis again. Obviously. This blog post contains the original opening for Chapter 10 of The Ancestor Cell. It was one of the scenes we chopped late on in the writing of the book, to bring the book in below its agreed (and already-extended) word-count. Stephen Cole and I both liked this nightmare sequence, but were content with losing it at that late stage. We had made our monsters-on-the-Edifice into spiders as an allusion to the Third Doctor’s original regeneration, which would be reinstated at the end of the book, so the subtext of Fitz’s fear of wasps was no longer integral to the book. The scene also seeded the idea of “moving the glass”, but that wasn’t enough to ensure its survival. The one place where Fitz’s wasp phobia does survive in the published book is in Chapter 2, where the Doctor calms him down and devises an escape plan from Fitz’s recollection of a different, childhood trauma. The seance had begun mid-afternoon, but little natural light penetrated the attic. The hatch was closed so that no-one would know they were up there, hiding in the gloom. The flickering candles guttered as the wind blew under the eaves. Fitz had pulled a glass-topped table from one of the dank corners, and propped it so that it sat securely on two firm crossbeams. Eleanor, the girl from the coffee shop with the poky flat in Archway and the wry smile and the tight sweater, sat opposite him. Her spooky flatmate squatted beside her on a rolled-up offcut of alarmingly-pattered nylon carpet. Fitz hoped that the flatmate would get a nasty shock of static electricity before they’d finished. Eleanor hadn’t bothered introducing her flatmate, but Fitz had heard her call him Bob at the Feathers the previous night. Bob was sitting too close to Eleanor, which was supposed to be what Fitz was doing this afternoon. Perhaps he could arrange for Bob to get a different kind of shock. Eleanor scattered the Scrabble tiles over the glass sheet while Fitz lit the fat wax candles at either end of the table. Bob toyed with the drinking glass, finally upending it and placing it in the middle of the circle of letters. Once they started, Fitz discovered it was too easy to steer the glass. He’d decided to be Indian Joe, a spirit from the other side, and was able to push the glass to each letter in turn to spell out a message from the Beyond. The edge of the glass drinking cup scraped on the surface of the table, making Fitz grit his teeth. But Eleanor lapped it all up, as he’d known she would. One quick glance at her hippy shirt and the aspirational posters in her bedroom had been enough to tell him that. ‘I suppose the spirits are translating,’ Fitz suggested in a soft voice, keeping his eyes on Eleanor’s pretty eyes. ‘He sounds like Tonto,’ observed Bob, his voice a squeak as he took a drag on his spliff. He offered it to Eleanor, who accepted it wordlessly. Fitz had made the glass spell ‘Kimo Sabe’. Fitz steered the glass some more. Bob’s mouth was wide open. Fitz wasn’t fast enough with his denial. ‘I’ll give you a buzz, love.’ She flung the glass down. The glass table top crazed right across, and Scrabble tiles bounced off in all directions. Eleanor scrabbled across to the loft hatch, Bob trailing behind her awkwardly. Fitz was about to protest, to calm her down, but the glass table surface suddenly dropped into pieces between the table frame. At once, there was a fierce, rising hum. And then the wasps started to pour from the ragged glass gap. The humming, buzzing cloud surged over him. Fitz flung himself aside as the wasps enveloped him. They batted against him like a handful of thrown sand, bouncing off the skin of his forehead, his cheeks, the backs of his hands where he threw them up to protect his face. He gasped involuntarily as he waited for the feel of the first sting, and one of the wasps fell into his mouth. He scrabbled with two fingers, scraping the tiny, fizzing creature from his tongue, spitting repeatedly and praying that no more got between his lips. They were crawling in his hair, over his earlobes, into his ears. He wanted to scream out for help, but all he could do was howl with his mouth clamped shut, snorting air in short desperate bursts down his nose to stop them crawling up his nostrils. Now they were under his collar, crawling into his shirt. He flung himself across the attic, knowing he could never reach the loft hatch in time. He buried himself between the torn boxes of mouldering paperbacks, and buried his face in the rolled-up carpet offcut, and screamed and screamed. As he breathed in, the dust from the carpet filled his lungs. He could feel the wasps tickling his neck, ruffling his long hair where it curled over his collar. He stared about himself wildly. The bright, new light scalded his eyeballs, frightening him almost as much as the nightmare. He gave himself to the hug, slumping against her in relief rather than any other motive. Besides which, he felt limp all over. His breathing slowly returned to a ragged kind of normal, though his heart continued to wallop his ribcage. ‘What was all that about?’ Tarra asked him. Fitz reluctantly allowed her to stop hugging him. He kept hold of her hand. ‘Just a weird dream. I dunno.’ He stared about them. Of course. The musty smell came from the undusted upholstery on the seat, the buzzing sound was the noise of the underground carriage – no, what had Tarra called it? Oh yeah, the Transtube. The travel system that would take them to the centre of the capital, or was it the Capitol, wherever that was. Their section of the Transtube was empty, unless his screams had scared the other passengers away. Just like the Northern Line late on Friday night, he thought. No matter how closely he looked, though, he couldn’t see any adverts for Beecham’s Powders. I blew up Gallifrey once. I freely confess it. Is there a statute of limitations? It was a long time ago – at the end of the last century, and Steve Cole was my accomplice. We were young. Well, younger. We got the Doctor to pull a lever that wiped out his own people to put an end to a terrible Time War. And then we documented our actions in a novel called The Ancestor Cell. It’s a different story to the recent and wonderful TV episode The Day of the Doctor. But a recent Facebook discussion about the 50th Anniversary special reminded me that I hadn’t yet reblogged all the material about The Ancestor Cell that I published on my old website. So I’ve done that now. Thank you Jason Miller and Jon Blum for providing the nudge I needed. A section of the novel that was unpublished.